Galvanic Corrosion is important as it can occur when dissimilar metals or certain types of composites (eg carbon based) are located in conjunction with each other. Material degradation mechanisms such as galvanic, pitting, crevice corrosion limit the operational lifetime of structures resulting in unsustainable long term maintenance costs. 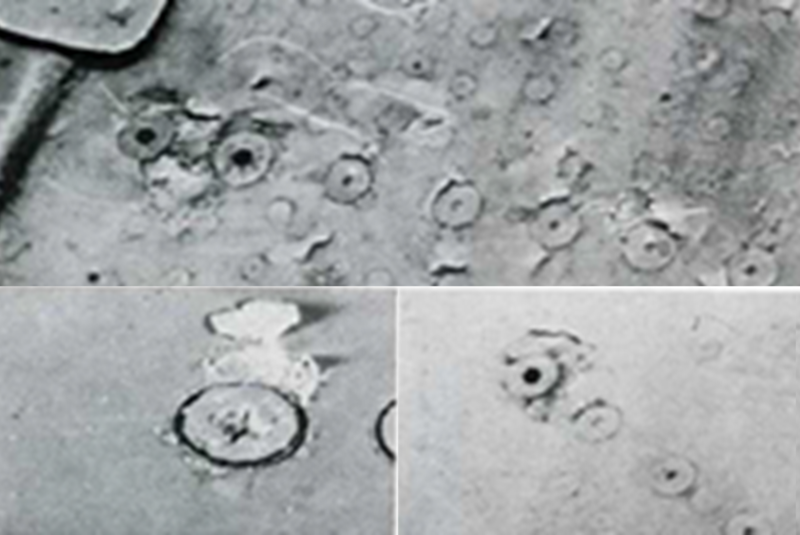 Recent studies of naval aircraft for example suggest that galvanic corrosion is the primary corrosion mechanism, in nearly 80% of the cases, when corrosion damage is observed on the aircraft. Galvanic corrosion is also a significant factor in other failure mechanisms such as fatigue crack growth. 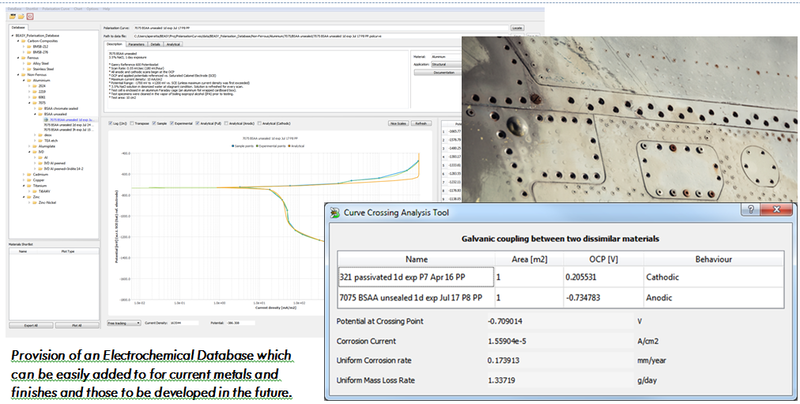 BEASY provides a suite of software and services to predict, manage and investigate galvanic corrosion and associated crack like defects. BEASY POLCURVEX software is used by design engineers to quickly assess the corrosion risk of material combinations exposed to aqueous environments. Galvanic corrosion is one of the primary, and most costly, corrosion mechanisms observed when different metals and finishes are coupled. The BEASY POLCURVEX provides a more accurate, laboratory validated, method to predict corrosion rates based on the identification of crossing points for material polarization curves. Galvanic corrosion is commonly assessed by comparing differences in metal potential (e.g. galvanic series in seawater table) with higher corrosion risk being associated with larger differences in metal potential. However recent research results obtained during development of the revised military standard, MIL-STD-889C suggests that potential differences do not fully account for the corrosion kinetics and can lead to wrong material compatibility decisions. Given the high cost of corrosion maintenance many companies are searching for corrosion modelling tools to support the paradigm shift from “Find & Fix” to “Predict & Prevent/Manage”. The BEASY POLCURVEX software satisfies both designers, focused on metal compatibility and coating performance who are concerned with new designs and retrofits for in-service vehicles, and maintenance engineers concerned with scheduling inspections to look for corrosion. Provision of an Electrochemical Database which can be easily added to for current metals and finishes and those to be developed in the future. Design engineers can quickly assess the corrosion risk of different material combinations. 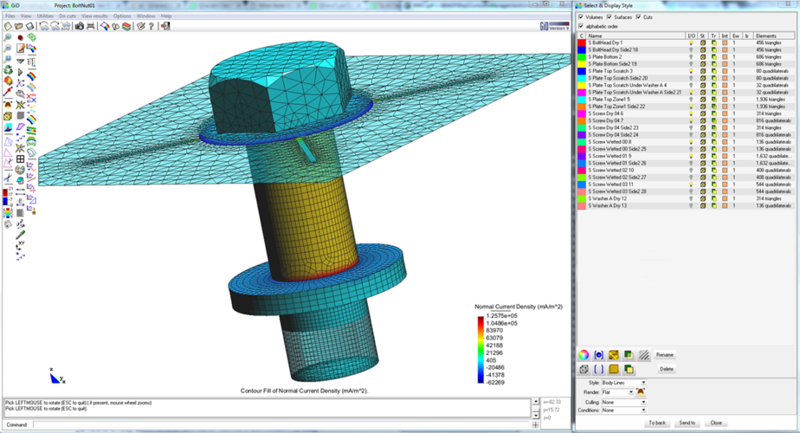 Create more corrosion resistant designs through improved material selection. The geometry of the materials, the characteristics and extent of the electrolyte including thin films such as atmospheric, deep, and crevice, and the type of mitigation methods employed affect the extent and rate of corrosion. BEASY Corrosion Manager enables engineers to replace the “Find it and Fix it” approach with a “Predict & Prevent/Manage” approach based on understanding of the corrosion behaviour combined with an ability to predict behaviour for a range of alternative arrangements and conditions. 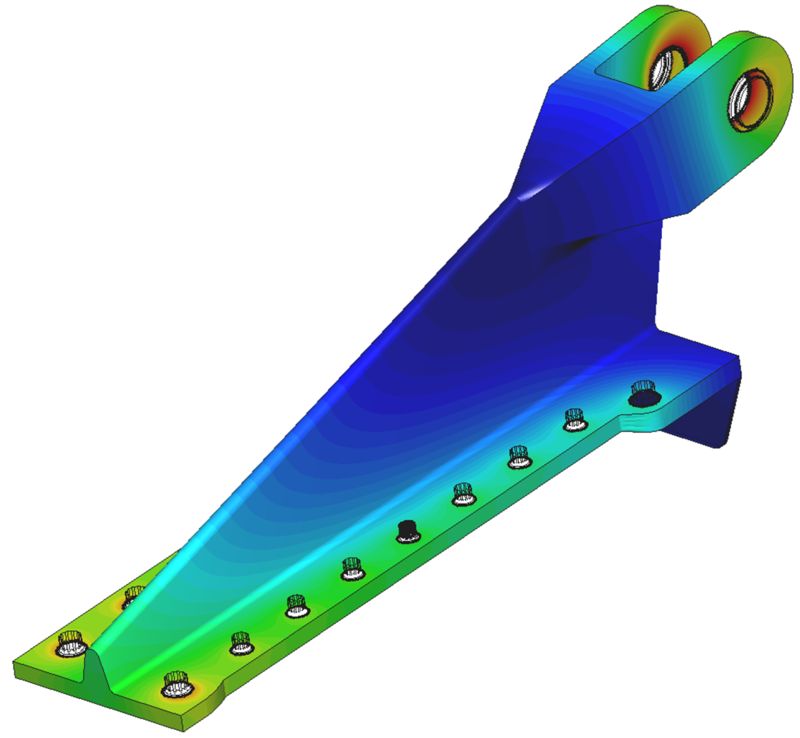 The modelling technology can be applied to components and assemblies forming parts of Aircraft, Marine Structures, Automobiles, and other types of vehicles. Because BEASY Corrosion Manager incorporates the electrochemical behaviour and geometrical effects, it is inherently more realistic, and informative, than simply comparing potential difference in the electrochemical series. Structures regularly operate in environments that can cause high levels of corrosion damage, and this damage leads to stress concentrations within the structure and potential development of cracks. Even when only a thin film of electrolyte is present on the structure, this can still lead to an electrical field that causes surface damage. Computation of this electrical field can be used to identify areas in the structure that are most susceptible to corrosion damage and which, after fatigue crack initiation, may lead to structural failure. 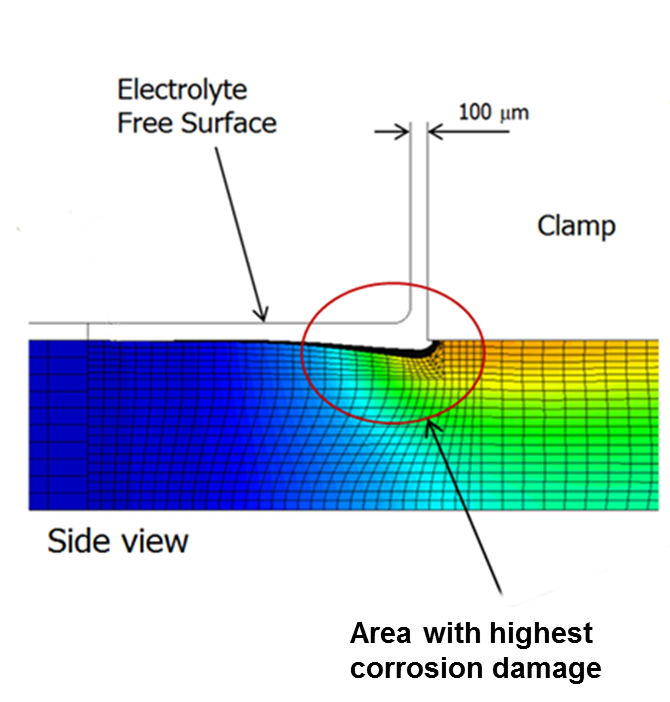 Corrosion simulation can be used to take account of the properties of the electrolyte as well as the structural materials, to determine the rate of material loss from the structure.